Hey guys I was just wondering before I had the LG v20 I had the Galaxy S7 Edge. And I would get security updates every month, and I can't help but notice that my LG v20 is on the security update from December. Does anyone know why this is? Or how often LG releases updates? Same here. No updates. Not really concerned about security but software fixes. I was hoping that with this being a recent flagship that they would give us updates every other month, at the least. I guess not! Even the ATT G5 has a newer security update, March. 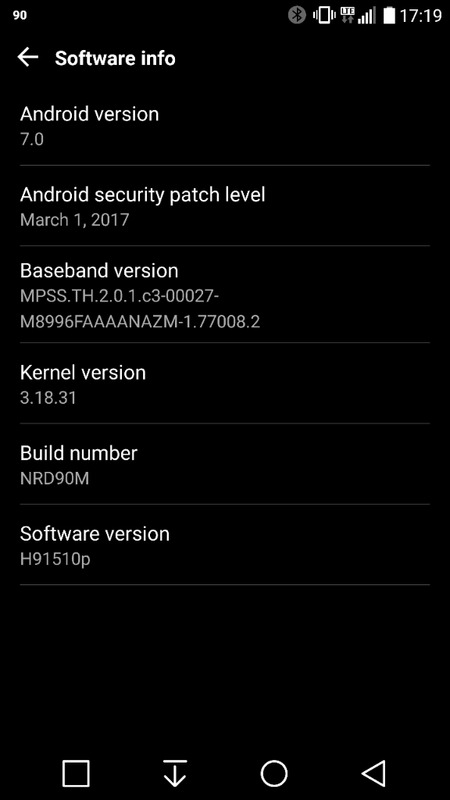 My unlocked dual-sim model has the Feb 1st update. Each carrier has their own process. Every version is like a completely different phone. 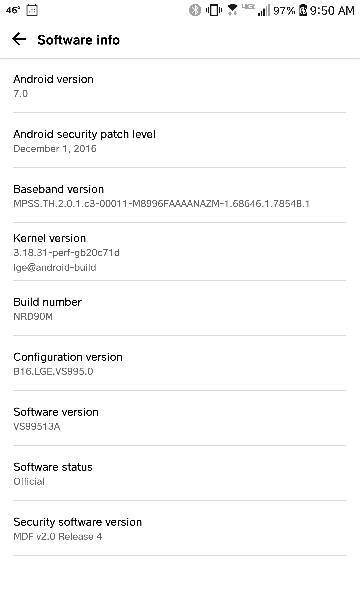 My AT&T phone says Android security patch is Dec 1, 2016. Before I got the phone. I am enjoying not having my phone self update every month or so. This is a frustrating process. Why are we even still on 7.0? We should be on 7.1 by now. This is definitely one of the annoying things about carrier locked Android phones. With Samsung, at least you got the security updates monthly. With a more obscure phone like this, we won't be getting updates like that. I'd rather be on the latest security patch than the latest OS version. Ryano89 and mandoman28 like this. As I like to say, each update is better than the next. I seem to have nothing but problems when it comes to updates (taking away features, deleting my files, new lag, etc), so I'm perfectly happy staying on a stable version for a while. Just got an update today on Sprint. Some bug fixes and a security patch. This is my first LG phone so I can't speak for this platform but on my Samsung phones, I never really had problems with updates. Yeah Verizon took away the FM radio on my first Droid with an update. Are you sure? My Verizon version says Dec 1st for security patch. I didn't receive it until January but it is the December patch.